The “Save View As” functionality for lists in NAV is great, providing easy access to frequent views of data. It’s too bad the functionality doesn’t work for reports. With ReportPath…it does. Not just for filters, but also for Options entered on reports. Users can now save unlimited variations of each report with different filters and options. 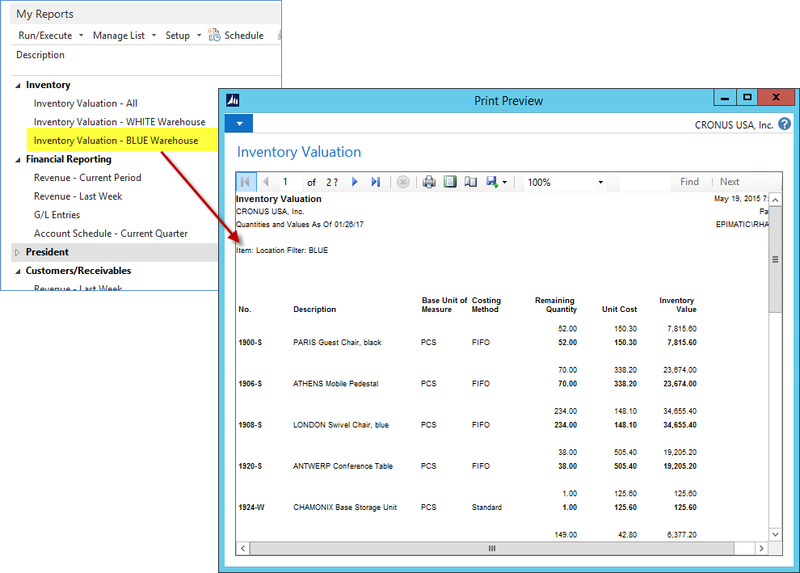 A simple example is shown below for an Inventory Valuation specific to the BLUE warehouse. 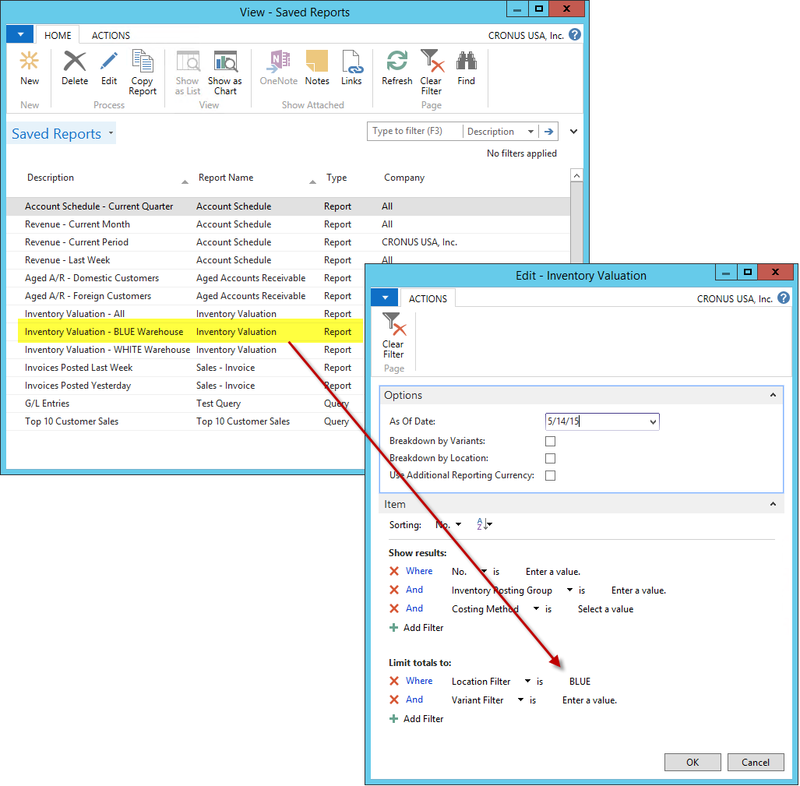 Once a Saved Report is defined with a name assigned, all users (so long as it wasn’t made private) are able to add it to the “My Reports” part on their Role Centers. The report is now only a double-click away at any time.